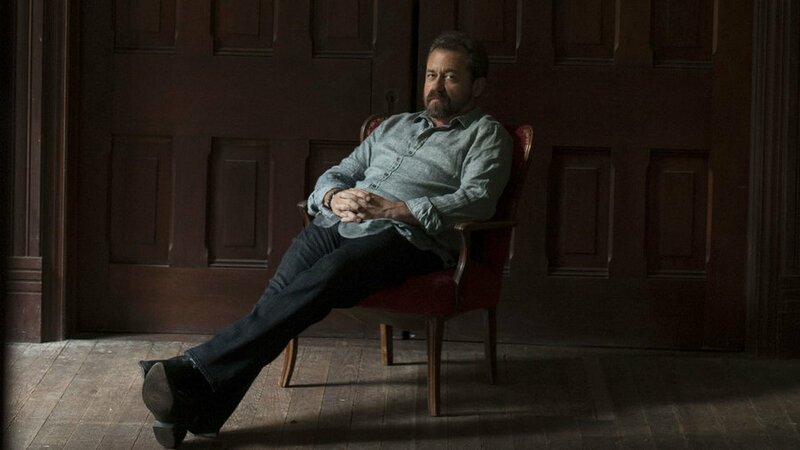 Dan Tyminski has also worked with many artists such as Martina McBride, Reba McEntire, Brad Paisley, Dolly Parton, Willie Nelson, Kenny Chesney, Leann Rimes, Aaron Lewis and Rob Thomas. In 2008 he released his album Wheels under The Dan Tyminski Band and has been most recently known for lending his vocals to the Global hit Hey, Brother by Avicii. 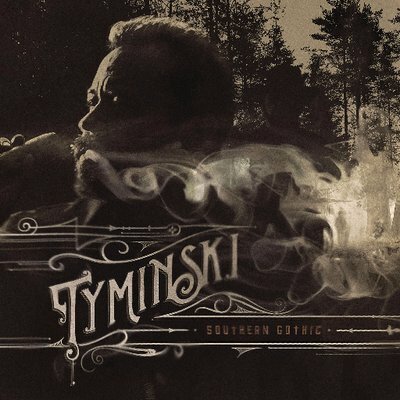 Tyminski releases his new album Southern Gothic via UMG in the UK in July. To support the release he will be headling the Sunday of the free festival in London Nashville Meets London. Fans can expect an epic set as Tyminski will play songs off Southern Gothic as well as I Am A Man of Constant Sorrow and Hey, Brother. We caught up with Dan to discuss his new album, Nashville Meets London and much more. Dan was a delight to talk to and very interesting as well as kind and friendly. Hi Dan, how are you? What have you been up to this week? This week there hasn’t been a lot of activity, but we have written some songs with some friends and I think I played a little golf. Let’s talk about Southern Gothic which has its official UK release in July. How does it differ from Wheels for example, as Wheels was maybe more bluegrass focused and Southern Gothic is more dark, churchy, southern swampy, pop Country, mixed with an electronic sound. I love the way that you described it because it is a difficult album to put in any one category – but it is a very churchy, swamp dark, bluegrass, gospelly kind of record, haha. It has a lot of influences in it, born out of meeting new people and new songwriters here in Nashville -the most important probably being Jesse Frasure, the man who ultimately produced this record. I wrote a lot of the music with Jesse and we found ourselves writing stuff that didn’t sound like anything else, and the more different the songs were just kind of inspired us to make some music that no one else was making. We were very fortunate that after we came up with a small body of work, Universal records got a hold of it and were interested for me to make a record. This one, I have to say, was a scary one for me because I have spent a lot of time playing a very specific type of music – but I couldn’t pass up the opportunity to make something that was this unique, so went for it. Well I am glad you did. It is very unique and I enjoy it a lot. It has been about ten years between albums? Yeah, I have managed to stay busy with Alison Krauss and Union Station. I never really pined for a solo career – it was something that, when I have had time off in the past and circumstances would allow, then I would put out a record. This one here has a little more intention perhaps than the last records I put out; I was a little more excited for this one. How would you describe the album lyrically? Is there a connection between the songs in any way? Tell us the idea behind the title track. I would have to say that was the track that this record was born from. When we finished the write on that particular song, which was with Josh Kear and Jesse Frasure and myself, we’d actually worked quite long through the day and really weren’t getting anywhere. We then decided to take the song that we were working on and just toss it out. We were going to call it a day and then quite late in the afternoon, Jesse said ‘Do you guys want to take maybe one more stab at this?’ He played us a couple of things that he had on his computer and the song was such a gift. The completion of that song, everything you hear on that track, was written, recorded, produced, absolutely completed between 1.30 and 4.30 in one afternoon. I remember driving away being jealous for that song because I am a songwriter and give songs away and hope to find someone to record them, but this was really one of those songs that I was jealous for. I wanted it for myself secretly, but I couldn’t really tell anybody, so when I got the offer to do this record and build it around Southern Gothic, it was a no brainer for me; I was happy to get the chance to be able to do it. Where was the video filmed? It is very fitting with the song because it is quite dark. Are a lot of the videos filmed in the same place? No, actually they are in different places, but we did try get a similar feel to all the videos. This was a new location for me – in my mind, I had this vision because, as a songwriter you see it a certain way. The video treatment by Wes Edmunds – his treatment of the song – was shocking and surprising to me. It was completely different to what I had visioned it to be, but I totally understood where they were going with it after I watched his version of the video. It brings you to kind of that uncomfortable place, which I think is part of what that song really offers. It makes you look at some things and address some things that aren’t easy to talk about. It makes you want to watch the entire video, it is like a short film, very cinematic. Yeah, I felt the same way when I saw it back. It was like a film; I could feel the underlying story behind it, even though I wasn’t certain what it was. I found myself embracing it. Tell us about the Devil Is Downtown and writing with Ashley Monroe, as I can definitely hear her stamp on it, as well as yours. So, Paul Moak, Ashley Monroe and myself, we had never written together. It was funny because I was making jokes that it felt like every song I was writing had some spiritual reference or was about the devil. I was jokingly saying we could do one more song about the devil and I think it was Ashley who said “Right down there, the devil is downtown, I have been there.” It was almost humorous at the start of it but it was one of those songs that wrote itself. There’s a lot of underlying meaning in that song for some people in my life who have had specific troubles; I think that song served very well – it’s one of the more important songs to me on the record. I like the song Gone, too. Gone is as true of a song I have ever been part of, haha. I remember that song was a very late night song write – we had actually worked all day, it was about 11.30 PM and we weren’t actually trying to write a song. One of my guys I was writing with started playing a track on a computer and I just started singing; he turned the microphone on and I was probably singing for about six or seven minutes. We ultimately edited that song down, took the best parts and edited together the song Gone. The interesting bits, some of them you work really hard on and some of them just sort of fall out. Songs released off this album have gone to Country radio and have had a lot of good responses. With songs such as Hey Brother which was constantly on the radio, how does it feel to have your own music, your own creation? It is always fun to think that people are out there listening to your music on the radio. I have had a pretty full career with very little airplay, so I am kind of used it not being there, so for me it is a little weird to hear your music on the radio. It’s not something that I am used to yet. Tell us about your collaboration with Avicii and how lending your vocals came to be? I think when I look back on my career I will say that was a very important part of it. It is interesting because when I first got the call to do that song, I remember my assistant calling me and saying we had an offer to sing a song for an EDM artist and at the time, I wasn’t even sure what EDM was, I had to ask. When it was explained that it was Electronic Dance Music and was the stuff you would hear in clubs, I thought that it was really an odd fit and said thank you, but no thank you. My assistant, being the quality person that she is, God bless her, said “Do you want to hear the song before we give the official ‘no thank you’?” I said “Sure, it can’t hurt to hear it.” When I heard the song, it made total sense for me. I liked the song, I thought it was something that I would sing about, it was in my range, it was the type of power that I like to have in songs – so everything about it made sense. I thought, ‘What is the worst that can happen? Let’s give it a shot.’ When I said this, I had no idea what the song was going to sound like, I had only heard the lyric. I didn’t have the production and all the sounds that Avicii ultimately ended up making, I just had a very bared down vocal. When I recorded that song – I did it in Nashville – I recorded just the vocal to an empty track, there was no music in the track when I recorded it. I sent Avicii just a vocal by itself and then he and his genius put together something that I could never have imagined. It had such an influence on not only myself but the people around me who I write music with. It gave me street cred with the young people, haha, that I probably never would have got. It has been amazing to see what that song, and stepping that far out of the box that I have been in, has done and how it has influenced so many. Although it is, as you say, very different to what you would have imagined, lyrically, it isn’t too far from Country music at all. Oh, it is. It’s absolutely a message that I believed in. I believed in it right from the get go and I have to say that the process of working with Avicii on that and hearing the finished product and seeing how that worked, gave me courage to step outside of the box in my songwriting, in my production, in everything. I can easily say, even though Southern Gothic is in no way trying to be like Hey Brother, that I don’t think it could have reached the stage that it is at without Hey Brother. I owe a lot to that song and to Avicii, God rest him. Did you get to perform the song live together? I did, we got to do Ultrafest in Miami, so it was a pretty amazing experience to first of all play music that loud – it was pretty intense – and then to 60,000 screaming teenagers. 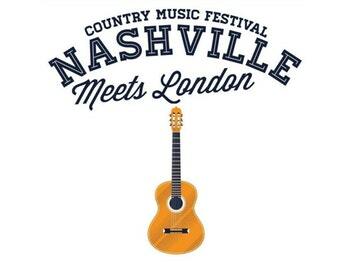 You will be headlining Nashville Meets London in July. What can we expect from the show? Full band? Southern Gothic music, maybe some old stuff? Hey Brother? We like to mix it up. We are there to play most of the Southern Gothic record and we play it pretty close to the record, so you will be hearing pretty much what you get on the album – and of course we will have to play Hey Brother and Man of Constant Sorrow. I have had a couple of songs that have been so good to me that shame on me if I don’t play them at the shows. That would be wonderful – as well as being part of the Oh Brother Where Art Thou soundtrack, you have more recently been a part of the soundtrack to Forever My Girl with the song Can’t Tame A Fire. It was one of those things that I never saw coming. That popped up after I got a record deal and the label called with an opportunity to sing on a beautiful song on this record. It was so much and to get to do this for a living I am still thrilled with. Well we are all very much looking forward to your performance at Nashville Meets London and of course the release of Southern Gothic. Thank you. I am so excited as the UK have some of the best fans and some of the most knowledgeable music fans and people who truly listen, really listen – I always look forward to that. Thank you so much for talking to me today and we will see you soon. It has been my pleasure, thank you so much.